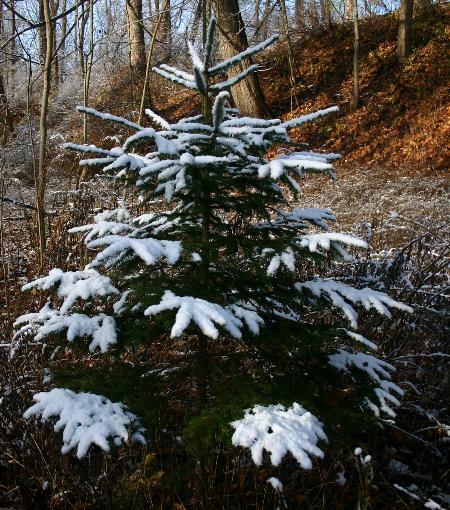 On the morning of November 20, 2006-- Kieran's tenth birthday-- there was a light snowfall that stuck to the trees and just coated the ground. I had the day off, so I headed for the Corbett's Glen Nature Park to take some digital images before the snow melted. These are some of the better results. 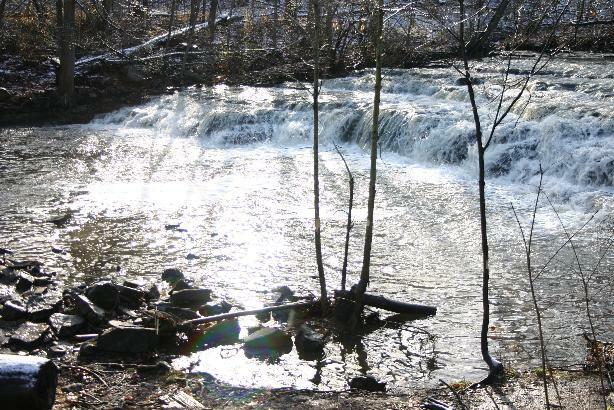 The principal feature of Corbett's Glen is Allen's Creek, which at one time was used to power mills. 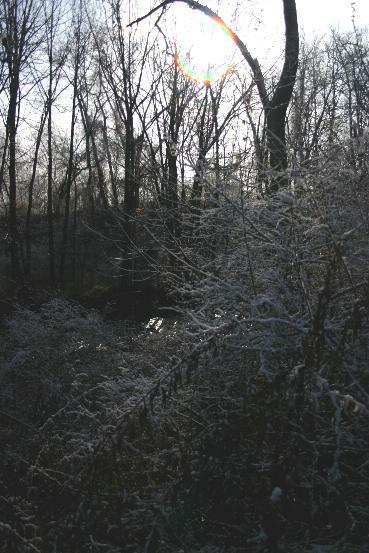 Now its cataracts provide a scenic respite from the dense surburban area that surrounds the preserve. 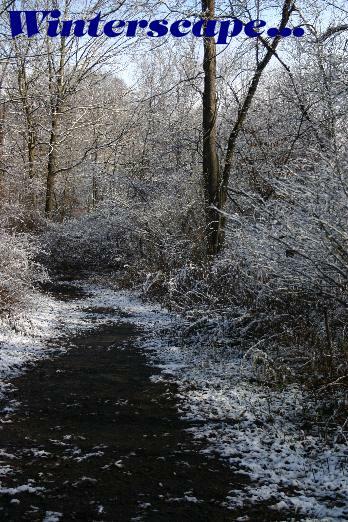 Here the light dusting of snow is brightly lit by the sun that will make quick work of what Jack Frost left. There would be other chances for his handiwork over the winter, to be sure. It almost looks more like twilight than mid-morning in this shot. 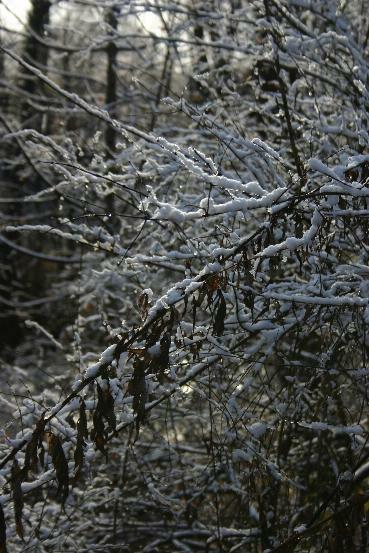 I love the way the snow sticks to trees and shrubs, a fleeting beauty. 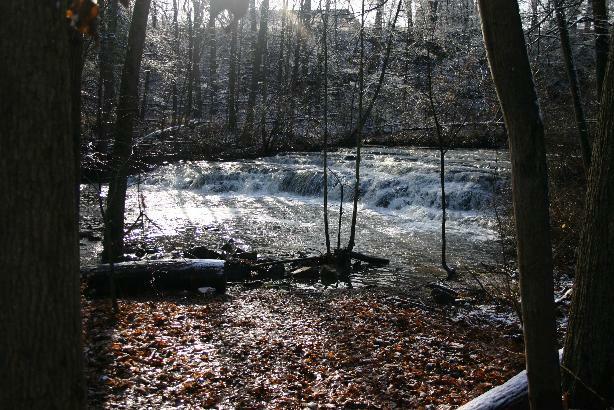 Corbett's Glen has been preserved thanks to some forward looking people. It's actually a shorter distance walking than taking the car because a path from our neighborhood leads into the area. 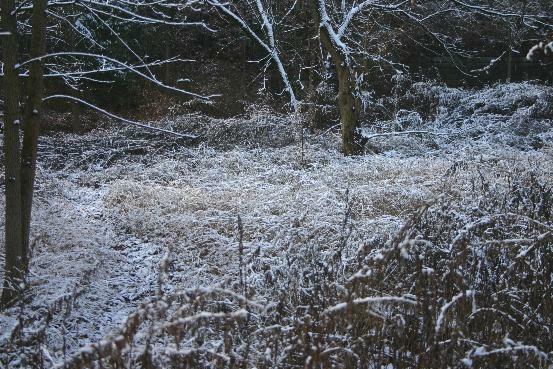 "Frosting" on the grasses and weeds. 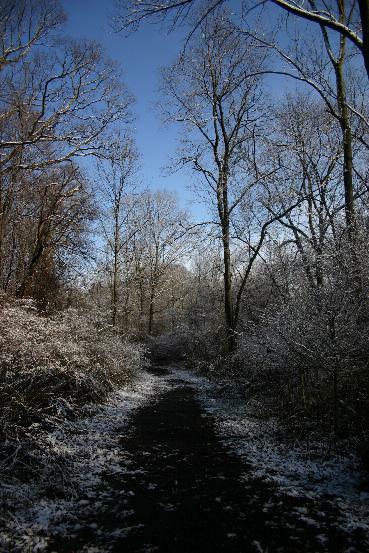 A shot similar to the opening one, along the path that runs through the park. Allen's Creek is off to the right. Look how blue the sky is! That is another gift of the clear air and high pressure of the wintertime. One last look at the rushing water of Allen's Creek before we go. And just to illustrate how close Civilization really is, this is the entrance to the park, about 500 feet from where the images were captured. 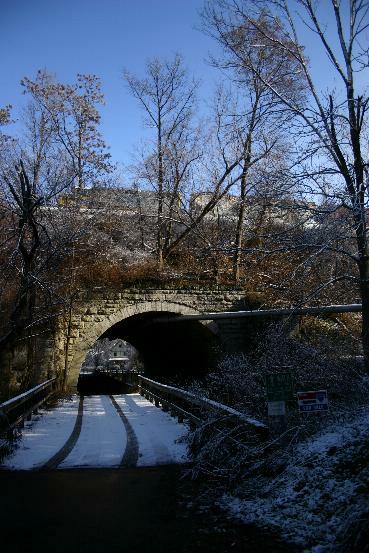 The wooden bridge carries an access road over Allen's Creek, and then both go through the vaulted arch tunnel, above which is the Chicago Line of CSX, but was once the New York Central Railroad. The NYC built this massive fill and tunnel in the 1880's to throw the mainline across the glen. The tunnel is lined with hand cut limestone blocks held in place by gravity. You can see the CSX locomotive and train at the top of the embankment. And about 1000 feet behind me is an Interstate Highway, hidden from sight, but not sound, by a very high wall.